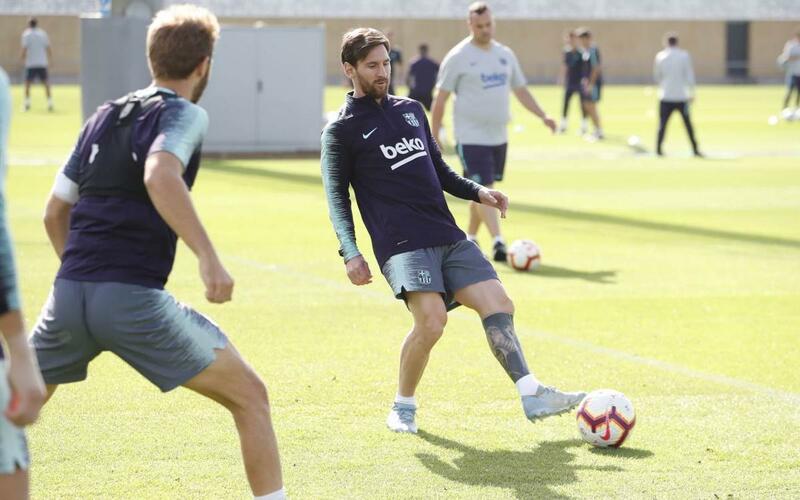 On Wednesday those first team players not on international duty trained on pitch 2 of the Ciutat Esportiva with Jokin Ezkieta, Iñaki Peña, Morer, J. Cuenca, O. Busquets, Riqui Puig and Mujica, from Barça B. Former player, Paulinho, also attended, greeting his ex-colleagues and members of the coaching staff. Luis Suárez, S. Roberto and Samuel Umtiti were subjected to blood and urine tests by UEFA afterwards. The next training session, the last of the week, will be on Thursday at 11.00 am CEST.